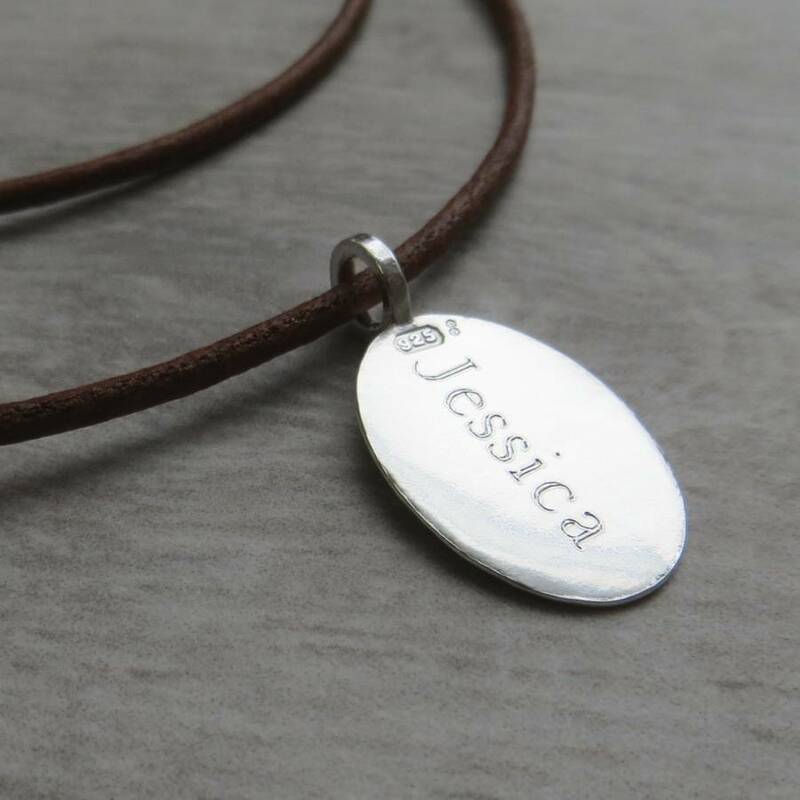 A beautifully finished personalised solid sterling silver tag and leather cord necklace designed and hand made by Gracie to order. 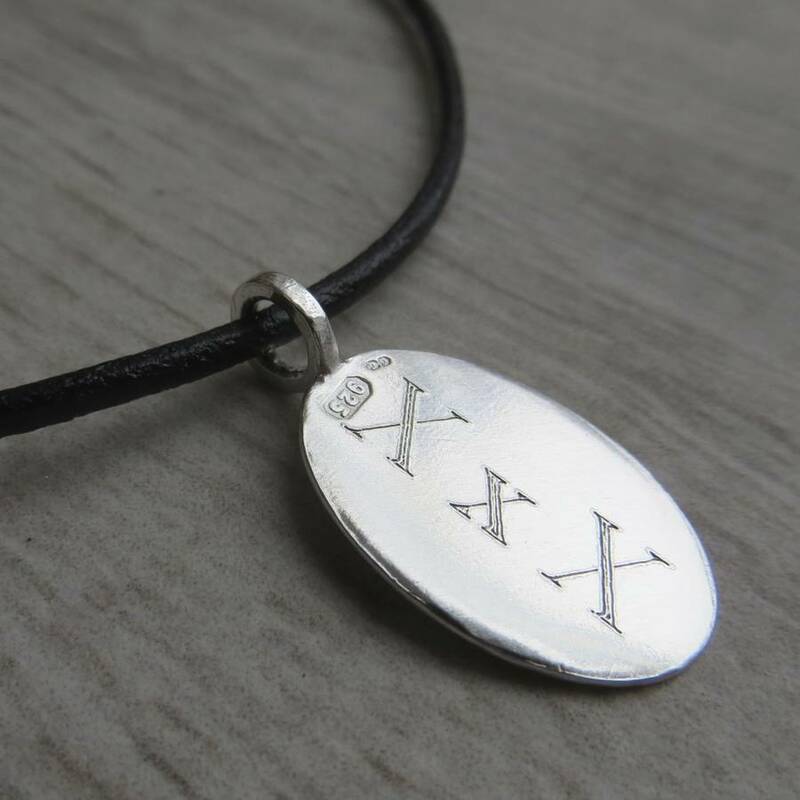 A hand made solid sterling silver tag and leather necklace uniquely made with your engraved personalised message. 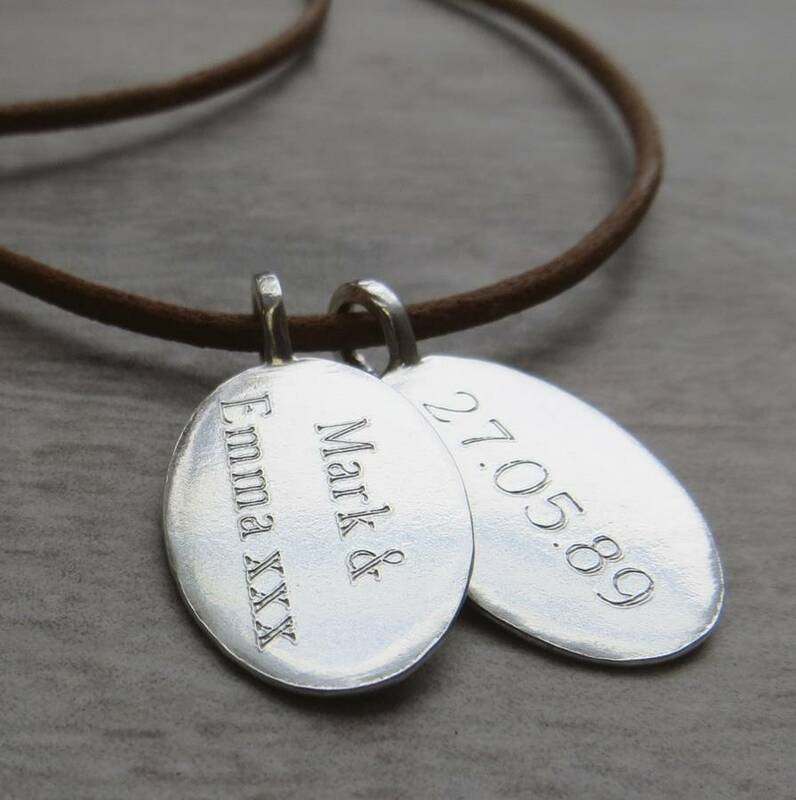 Perfect for remembering moments shared with a significant date, loved ones names or co-ordinates of a special place. An ideal Fathers day gift. 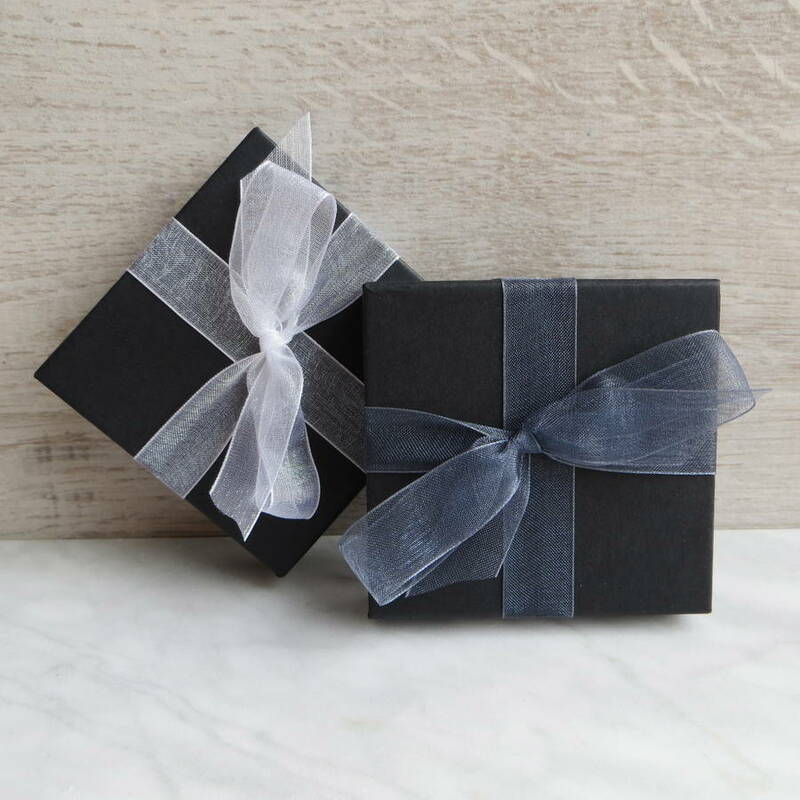 All necklaces are packaged in a gift box, and can be sent with a message directly to your gift recipient. The silver tag allows 25 characters on the front and again on the back. Made using solid sterling silver and real leather cord. Each solid silver oval tag measures 2.5cm by 1.5cm.